Can you identify this child? 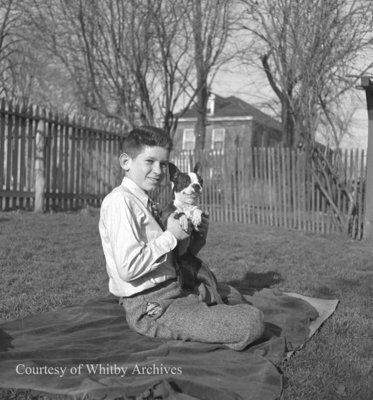 A black and white medium format negative of an unidentified MacLeod child sitting outside on a blanket holding a dog. MacLeod Child and Dog, April 1945, Marjorie Ruddy. Whitby Archives A2013_040_433.